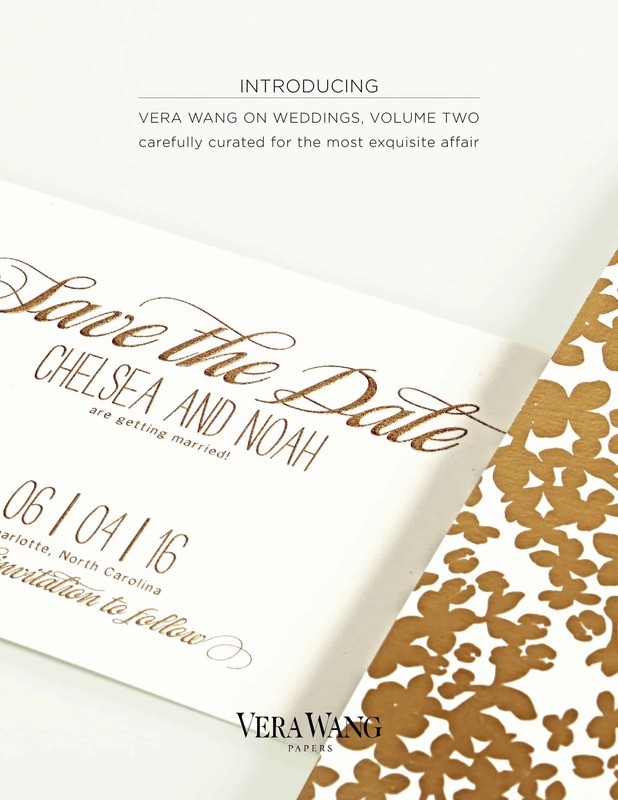 The Vera Wang Papers On Weddings Volume Two is now at Hyegraph! You can come to view the new collection now. 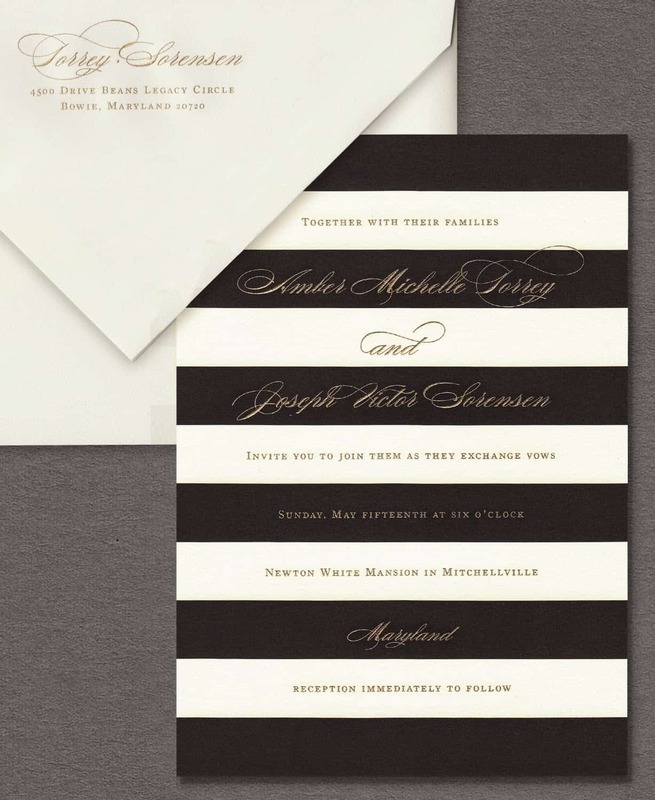 Her new collection includes rich ink colors for Engraving: Brushed Silver, Sun Gold, Polished Copper. For Foil inks: Silver, Gold, Copper, Black, White. For Thermography Merlot, Scarlet, Dahlia. 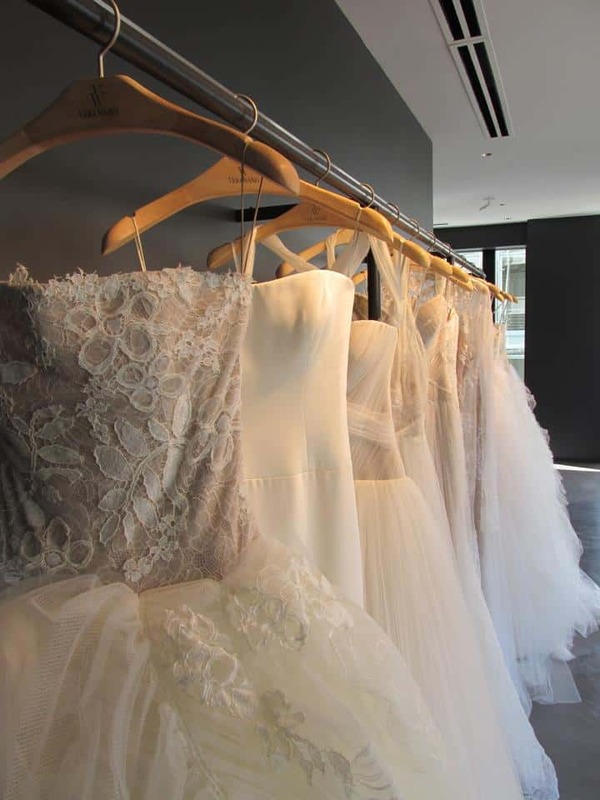 Whether your gown is Vera Wang or not you can still choose Vera Wang for your Wedding or next event! 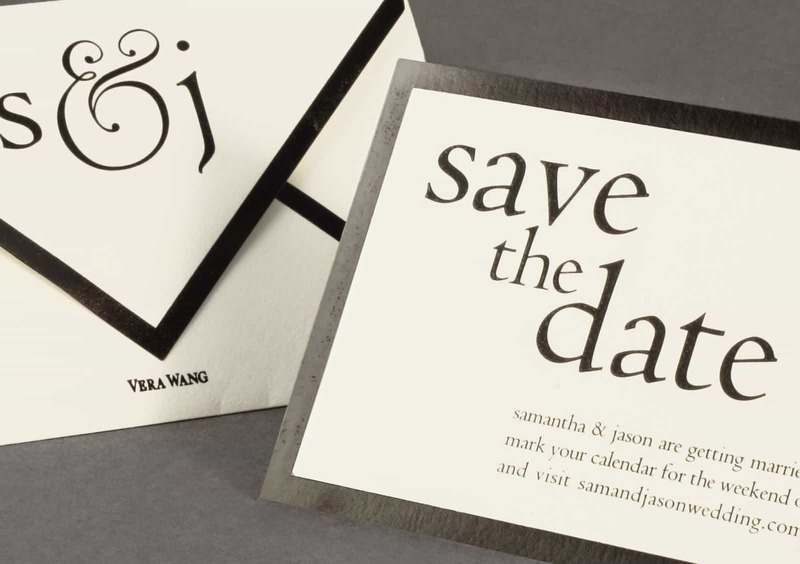 The Vera Wang Stationery Collection comes in quantities of 25 with a minimum ordering requirement of 25 invitations. 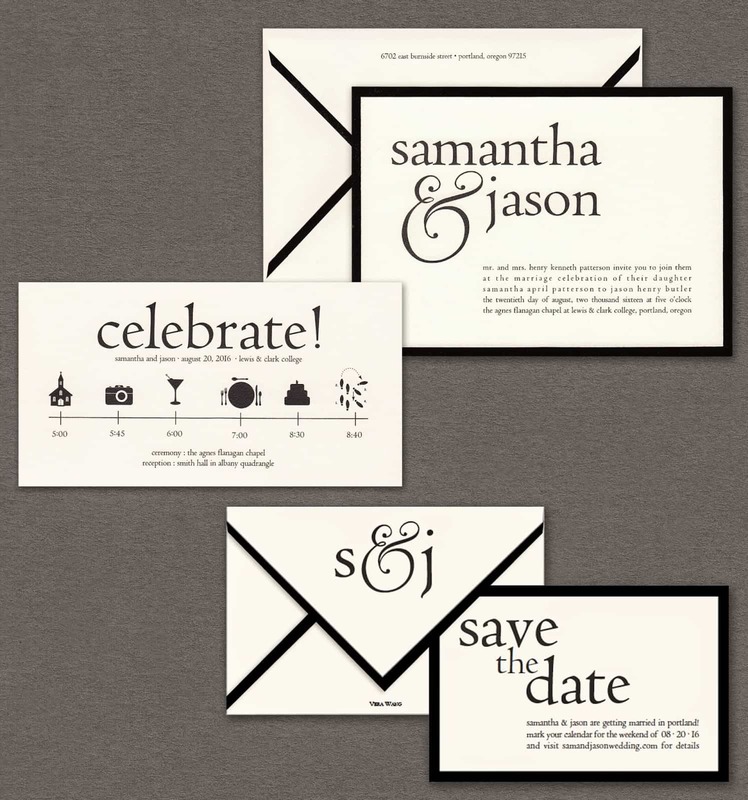 Here are some of the designs from the new Weddings Volume Two! 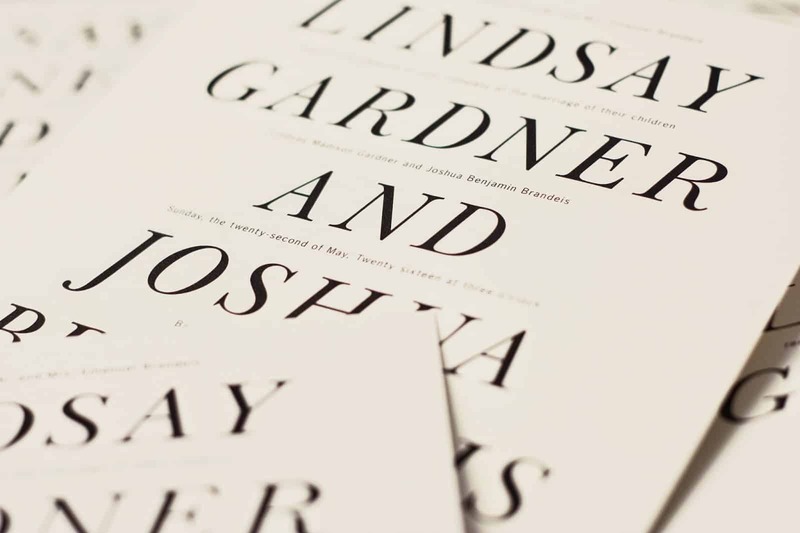 The above wedding invitations and save the dates from the new Vera Wang Wedding Album, “Vera Wang Papers, On Weddings Volume 2” printed by Crane & Co. are the new addition to our wedding invitation collection. 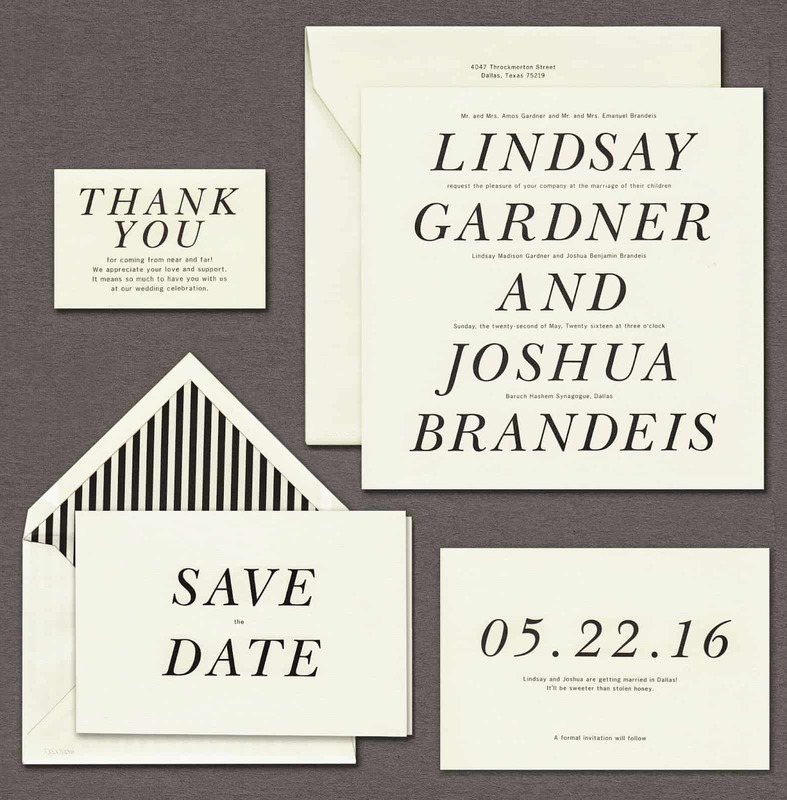 The cards above illustrate black and white Save the Dates, Black and white striped wedding invitations, invitations with gold confetti, french envelopes and itinerary cards. 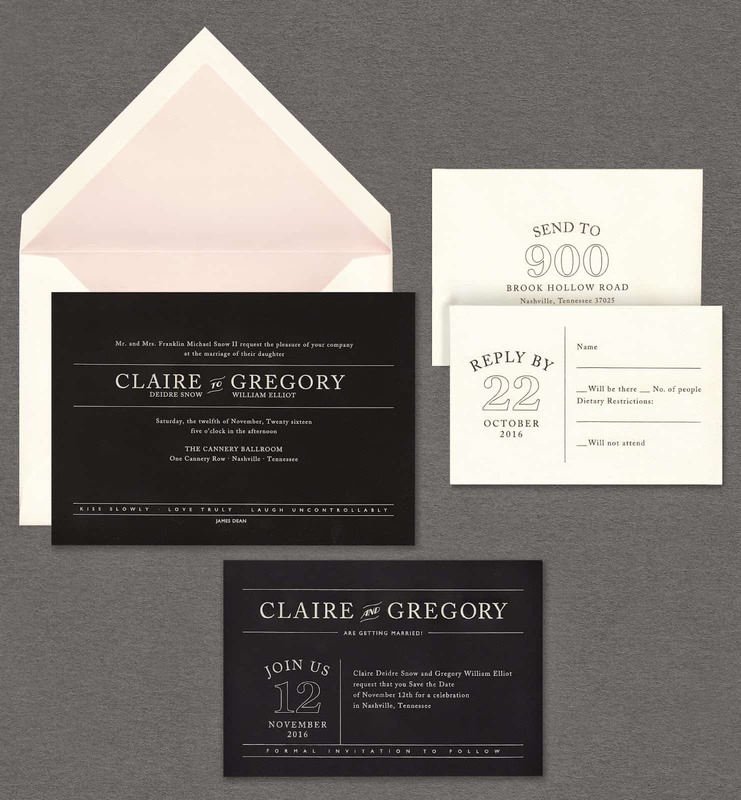 The selection includes engraved, letterpress and thermography type printing. 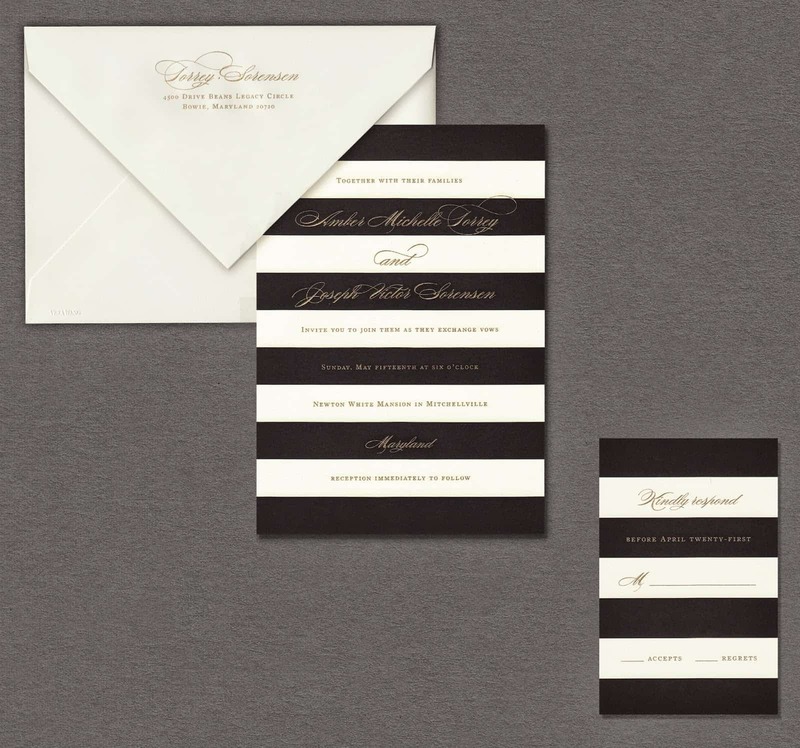 Each of the above Vera Wang Designer Wedding Invitations comes with a matching Oyster White Envelope which is also available to be printed with your return address and your guest addresses. 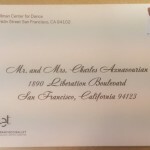 The guest addressing can be done using Hyegraph’s Digital Calligraphy. 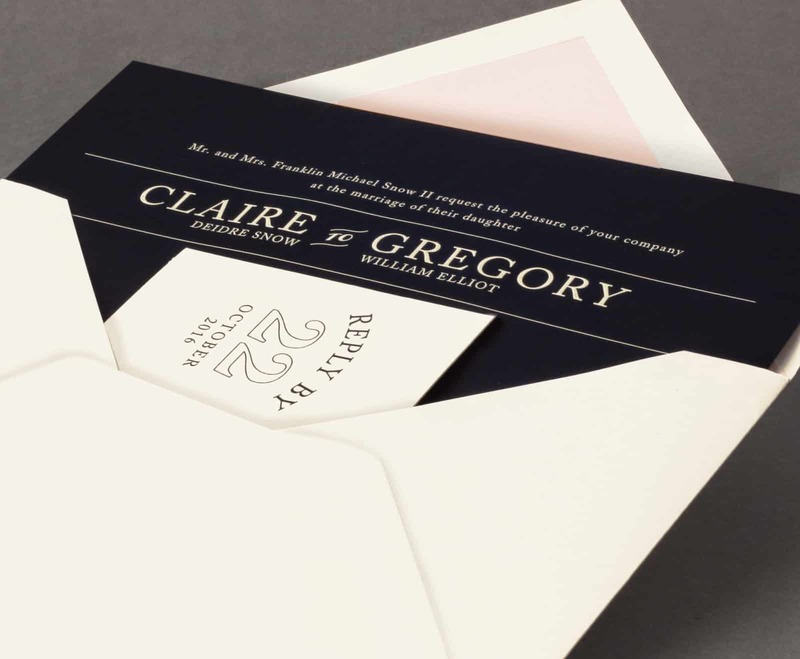 These invitations are priced based on quantity, the type of printing requested, ink color selection and personalization. 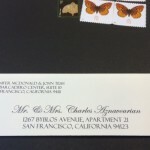 Please call, email or stop by at Hyegraph Invitaitons & Calligraphy located at 3 Embarcadero Center, San Francisco, CA 94111.